Were you excited to play War Mode for PUBG? Then there is something you should know. PUBG Corp. announced the 4th of May that the mode had to be canceled sooner than expected. Through their Twitter account, the PUBG support team revealed that there was an emergency maintenance period where they solved some problems. Unfortunately, that maintenance forced them to cancel the special event for this weekend and withdraw the War mode. “Unfortunately, we had to prematurely end this week’s event as we discovered it was the cause of the recent server instability. Our engineers are working hard to make sure this problem doesn’t occur again in the future“, said a spokesman. It is important to note that PUBG has not mentioned yet whether this event will take place at a later date or whether the community will be left for a while without playing War mode. Were you excited to play the new War Mode? 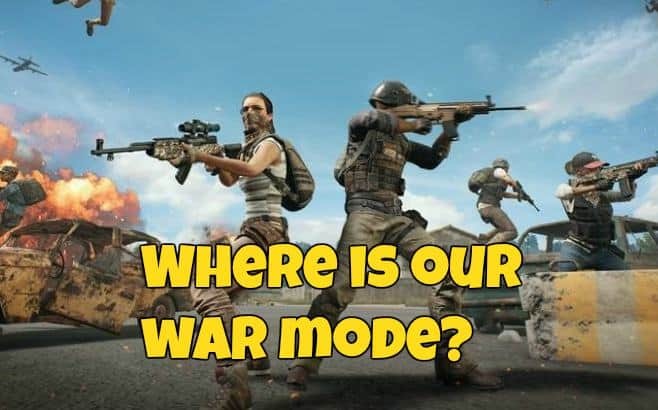 Do you think we can expect to be able to play War Mode soon? Tell us in the comments below!